The all-new JBL Everest Elite 750NC is truly shaped around you. Smartly engineered, enjoy wireless freedom with up to 20 hours of listening pleasure on a single charge. In Adaptive Noise Cancelling (ANC) mode, control what you want to hear for up to 15 hours. 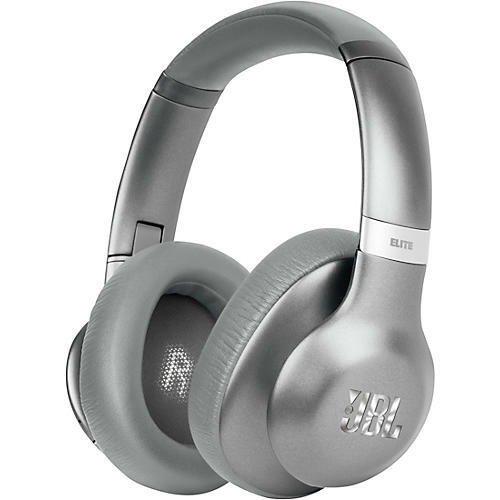 These headphones are an excellent travel companion with a 3-hour quick recharge, echo cancelling microphone for hands-free calls, Legendary JBL Pro Audio Sound, compact hard carrying case and flat-fold design. Meticulously crafted from premium materials and conceived for a snug fit and long-lasting comfort, these sleek and elegant headphones come in metallic finishes and colors. The My JBL Headphones App features include over-the-air updates that future-proof these headphones, and TruNote™ Auto Sound Calibration that personalizes the audio performance based on ear cup fit, delivering the most authentic version of music possible.